Earlier this month Rose was offered the opportunity to do a 5-minute speaker slot at an XtraOrdinary Women network meeting. During the 5 minutes, the speaker gets the chance to briefly chat about their business or share something thought-provoking concerning their industry or trade. It is an excellent bite-sized marketing tool. Then we had it! We decided to chat about “decorating dilemmas” and include a few common decorating do’s and don’ts. The topic was a massive success! We, therefore, just had to share these points with you here on our blog. 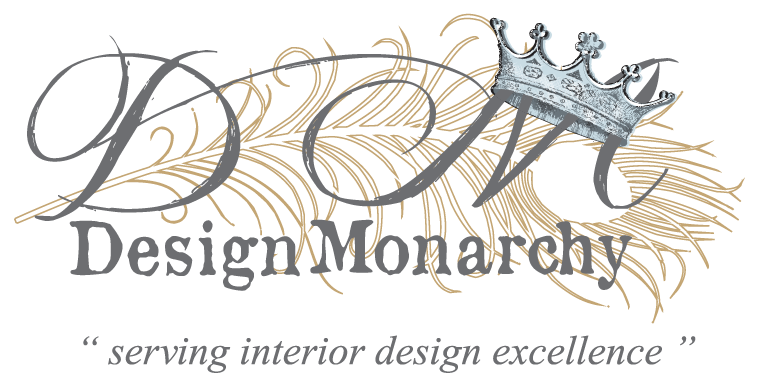 One of the services we as Design Monarchy offer is site consultations. Rose and I frequently get called out to consult on a home or space where the owner has reached their wit’s end. On arrival, we often encounter the same decorating blunders over and over again. The house, owner, year, trend, and location can all be different, but the blunders are always the same. This must be the blunder we encounter most often. Over-sized, chunky furniture pieces squeezed into a space clearly too small to accommodate it. The living room seems to suffer the most. Deep sofas with wide arms and clunky occasional chairs sitting one on top of the other – arms often touching or even overlapping. Or, large squat coffee tables that dominate the whole central space leaving little room for circulation. Then there is the sparsely decorated room where small pieces of furniture float in a space far too lofty. We often refer to those pieces as “bitty” or “pimply”. Some people are of the opinion that leather is the only hardwearing luxurious material in the world and that EVERYTHING should be covered in it. This one is a biggie. You spot something gorgeous in a shop or on a showroom floor and you just have to have it. Later, at home, you find it either too big or too small, maybe the colour is slightly off, or it doesn’t really go as well with your existing pieces as you would have hoped. Maybe you just needed a little retail pick-me-up and, in retrospect, you didn’t really need or want the item you purchased. Mmm, we find that most of our clients struggle to understand this element of decorating / design. They have this constant need for everything to match. This could possibly be because that is the way it was done in years gone by. You walked into Wetherlys, you selected the lounge suite with the matching sofa, chairs, and tables, you turn to the salesperson and say “I’ll take this lounge, ring it up“. Or the idea that because this table is mahogany, everything needs to be mahogany. This chair is upholstered in a duck egg linen, so everything needs to be upholstered in a duck egg linen. NOPE. One word: boring. Once again – every space needs variance. It’s okay if your coffee table has a different wood finish to your chair legs. While trends can be a fun and easy way to incorporate designer-like elements into your home, one has to do it with caution. Never allow a trend to dictate major decorative decisions when furnishing your space. With trends, it is always best to purchase with a very conservative hand. The last thing you want to do is spend your money on some fad that will roll out as quickly as it rolled in. One of the most common trend-related decor mistakes we encounter is either a complete overkill use of one trend or a jumble of multiple trends used in the same space. The resulting interior is either very monotonous or terribly busy and bewildering. The customer completely missed the mark – copper is meant to be used sparingly – most often in lighting fixtures or selected decorative smalls – preferably the “real deal” and not a fake-looking faux finish. Oh, and while we are on the subject of copper – that trend has died a slow death… seriously passé. Another element that can quickly make your space look unbalanced and disjointed is sparsely placed or inconsistent wall art. Frequently we walk into homes and encounter wall decorations that, for lack of a better term, appear to be “plonked”. No centre points, no uniform spacing, nothing is coordinated, nothing is curated… just “plonked”. More often than not, when the client is asked the reasoning behind the art placement they will reply with a “there was already a nail there“. Remember – wall art is at eye level. It is one of the first things you see when entering a room. Be sure to put some thought into the placement and spacing of your art and also which items would look good together. It is no secret – here at Design Monarchy we view incorrect cushion inners with real disdain. It is one of our pet peeves. We have actually mentioned it in various past blog posts. In fact, one of earliest decorating Quick Tips was about the importance of a decent inner: Scatter Cushions – It’s All In The Stuffing. As we commented in the above-mentioned quick tip – it is all about comfort. An overstuffed, rock-hard cushion or a pancake-flat one will add nothing to your level of comfort. It will be nothing more than an annoyance to be tossed aside. Not to mention that there is nothing as aesthetically displeasing as a scatter bursting at the seams or a cushion so flat you can use it as a placemat. There is one element we often find lacking in most homes: personality. Interiors that lack creativity and speak nothing of the person inhabiting it. I reckon many of the above-mentioned points contribute to this “lack of personality”. We impulsively buy furniture incorrect for our space and choose decorative items because some magazine told us it was cool. We purchase stuff as it was needed and because it was on sale. We randomly plonk down our things because we have them and the space needs to be filled. It doesn’t speak of who you are or what you like – there is no flavour, no colour, no atmosphere. Here is a quick hint: a successful interior is a curated interior. “Getting the help of an interior designer or decorator is expensive” – this is a misconception we frequently have to disprove. It all depends on the extent of the project or how much time would have to spend on it. To get the professional opinion of a decorator is not only invaluable but also affordable. Truth is, many people need a decorator or designer. Our clients often feel unequipped to furnish or decorate their homes by themselves. There are so many aspects to think of, so many finishes to choose from, so many things to take into consideration. Where do I get this? How do I place that? Who will make this? It leaves them feeling completely overwhelmed and out of their depth. It is at that point where we step in with our qualifications, years of experience, supplier lists, and general know-how. Money worth spent. Look through the 9 most common decorating mistakes again. There is a mutual thread that runs through all the blunders mentioned… lack of planning. Be mindful when choosing furnishings and decorating your space. Planning is paramount. Decide beforehand what your home’s look and feel should be – seek inspiration online or in magazines if necessary. Measure your room – know what kind of space you have to work with. Think carefully before making a purchase. Is it the right size? Is it suited to your home and the items you already own? Have a moodboard, Pinterest board, file or notebook where you keep all your inspiration and research. Think, problem solve, budget, plan, plot, and only thereafter execute. If the idea leaves you feeling unsure or overwhelmed get a decorator / designer to plan for you. It doesn’t have to be complicated. Maybe, you just need someone to help you make the right choices.